There are only so many hours in a day. If you’re spending more time than you’d like applying your makeup each morning, semi-permanent cosmetics can help. At Ogden Clinic Bountiful, semi-permanent cosmetics are performed by our certified estheticians. They can help you achieve the look you desire that lasts for several months or even years with regular upkeep. Each of these procedures can cut down on the time you waste each morning, giving you more time for your daily activities. If part of your daily routine involves penciling in thin, sparse brows, you know what a task it can be. 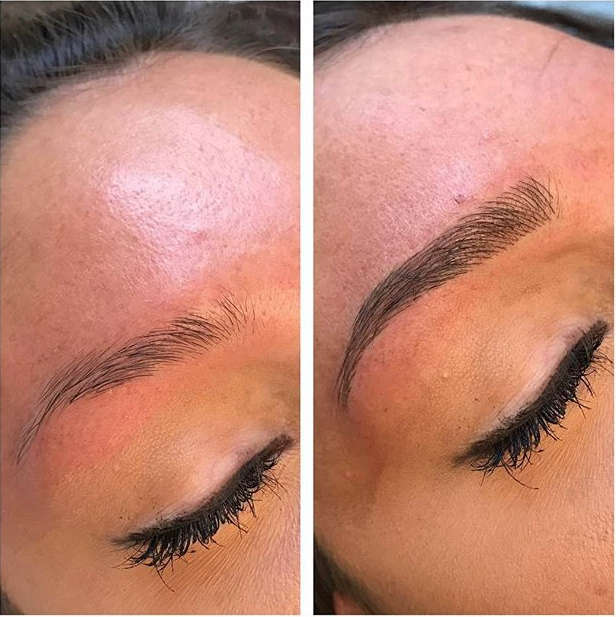 Microblading works by creating the look of natural brows with tiny tattoos. Ogden Clinic estheticians use a manual handheld tool to implant tiny hair-like strokes of pigment under your skin mimicking the way natural hair grows on brows. Microbladed eyebrows are not as deep as regular tattoos and since the skin on your face regularly sloughs off, you may need to have the procedure repeated after one year. In the meantime, you’re left with natural-looking, no-maintenance brows. Our licensed esthetician also offers powder-filled microblading at Ogden Clinic. Powder fill is a more solid look and is better suited for oily and mature skin types. Powder fill technique is often paired with microblading for a more defined and dramatic look. Eyes are the window to the soul, but they’re also the feature most women spend the most time on while applying makeup. Having semi-permanent eyeliner applied means waking up with utterly perfect eyeliner each and every morning. You are able to pick a shade of eyeliner that compliments your eyes and then, like microblading, it is applied using a small, handheld tool. Recovery is relatively quick and painless. A cold compress will help with any swelling and you’ll be asked to refrain from wearing eye makeup for a few days. In less than one week you are left with beautifully highlighted eyes. Best yet, because the area around the eyes are normally treated with care, your eyeliner can last for years without the need for touch-ups.